interested in the differences between children and adults experiencing PTG and plans to further this research with her time in the lab. Multitude Of Events Project Teams Up with the OU Pontiac Initiative! 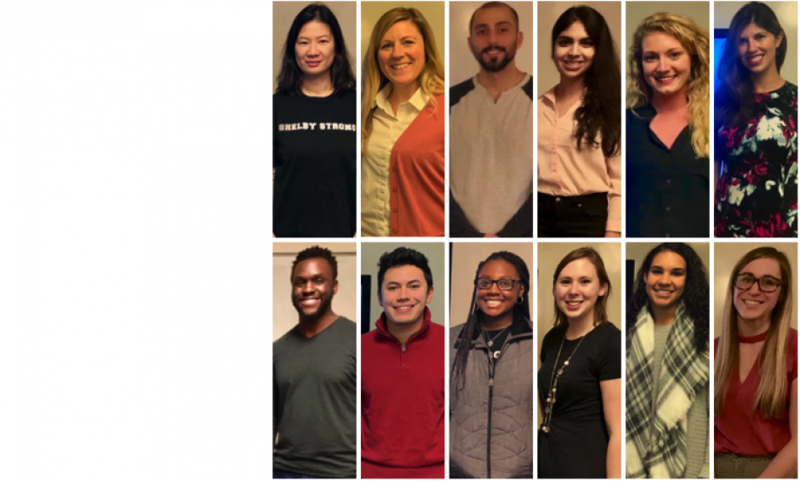 The PTG lab is excited to announce they have been selected as one of the twenty-five mutually beneficial projects for the Oakland University and Pontiac Initiative. The Oakland University Pontiac Initiative is advancing the vitality of the City of Pontiac while providing experiential learning opportunities for OU students. On Saturday, March 5th lab members Aundreah Walenski and Lauren Harrison attended the OU/Pontiac Initiative Town Hall Meeting. They spoke on behalf of their partnership with Pontiac and the future plans ahead. At the close of the month, the lab will be collecting data and conducting a brief psycho-educational PTG intervention. The lab is honored to be given the experience to part to take part in such a great opportunity and excited to begin a long living relationship. This research is also supported by Rosen Fellowship.